Hi! Right now I’m in Cairo, Egypt. 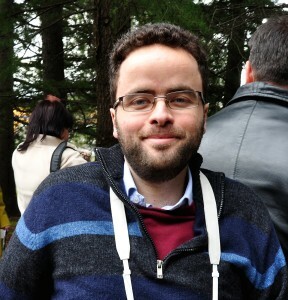 I work in international development, mainly on inclusion of persons with disabilities. I like learning languages and about new cultures. I’ve been working on disability and development issues for the past few years, and I write about them at Desibility. Posts that might be interesting include some personal reflections on living and working in Bangladesh, or why having a disability makes me good at my job. On a more technical side are notes from India on how to matchmake between disabled people and employers and recommendations on extreme poverty and disability. Before starting work, I studied in Brazil, doing research with people with physical disabilities in Rio de Janeiro. While doing so I wrote about some personal experiences of my disability. Some of my thesis is online in a blog, Chumbados in Rio. Chumbados is a portuguese slang word I use to avoid using the word “disability”. My thesis, in Portuguese, is Corporalidades de Chumbados, an ethnography of people with physical disabilities in Rio de Janeiro.